Yep. 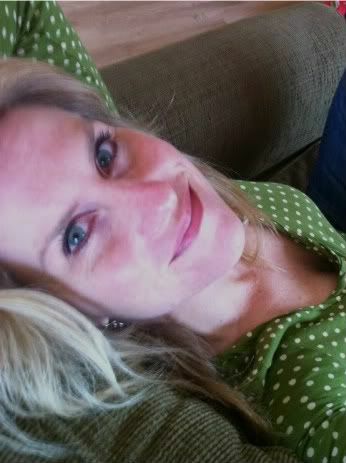 There’s witchy old me again. A while back I wrote a blog about fate, coincidence, and signs. My premise was that life presents you with signs that attempt to nudge you in the direction you’re supposed to be heading in this life. If you’re paying attention and are self-aware, you will notice the signs the first time they present themselves to you. If you’re not, the signs will keep appearing over and over until you take notice and then hopefully hop aboard the clue bus and go forward. I still believe this to be true. In light of this belief, however, I’ve been struggling with something that keeps happening in my life. 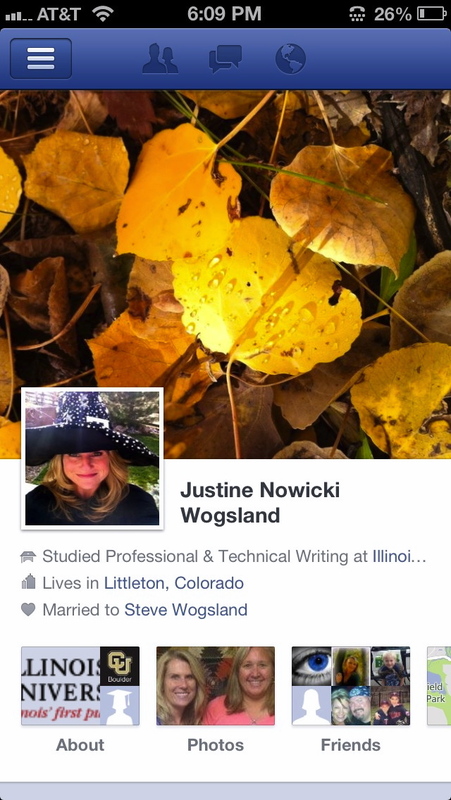 Just before Halloween and in honor of that spooky holiday, I changed my Facebook profile photo to a shot of me in a witch costume I wore to pick up my boys from school last year on October 31st. It seemed appropriate to deck myself out on Facebook for one of my favorite holidays. I thought it was kind of a cute idea. On November 1st, I promptly removed the photo of witchy me and replaced it with a photo of me from our trip to Moab last spring. For the past two weeks, though, that photo of witchy me keeps reappearing randomly as my Facebook profile photo without my changing it. It’s happened both on my iPhone Facebook app and on my Facebook page on my MacBook. Now, I’m sure this is nothing sinister, but it’s starting to get a little weird. When I see that witchy photo, I go in and change it back. Simple enough, right? No need to freak out about it. It’s probably just some sort of mix-up with the cookies from the Facebook app, right? It’s definitely not some type of sign. If it were, what would it be a sign of? I should do some serious research into Wicca because perhaps that is my calling? I should wear black more often? Hats really work for me? Tonight, I told my hubby about it. “You know that photo of me that I put up for Halloween?” I asked. “The one of you in the witch costume?” he replied. This is when he began laughing. “What are you laughing at? This is not funny,” I said, right before I started laughing too. “I don’t think the universe is trying to tell you that you’re a witch,” he said and gave me a hug. “But, it is a pretty big coincidence,” he added in that quiet sort of way that’s meant to be an underhanded remark. Then he started laughing again. “Fine. Side with the universe. And Facebook,” I said as I changed the photo back to the one of me in Moab on one of my happiest days ever. Maybe you being advised to examine the ‘witch’ side of yourself. Not that it ever comes to expression, well hardly ever, but maybe it is just asking to be acknowledged or ‘fed’. I am not so certain that ‘kicking it to the curb’ sits well with me. Maybe I have misunderstood what you mean, but I have found that trying to get rid of or deny my ‘warlock’ only results in ‘its’ pressing harder. Like its a part that doesn’t want to be disowned, but rather acknowledged. I do hope I have understood you correctly. Maybe its a sign that relates to the fact that Witches can be good and magical – in a fun and positive way, like the Good Witch of the North in the Wizard of Oz. Maybe it’s a metaphor for the inner power and capacity we all have to work our magic and have a positive effect on the world. Maybe the technical slip represents life’s “glitches” and no matter what they are or appear to be – freak-inducing witches or otherwise – it’s a matter of how we roll with them that matters. Maybe it’s Maybeline. That’s a phenomenal story. I like the unexplained things in this world. I hate to think that there is no mystery, and that we humans have it all figured out. If we’ve got it all figured out and the world is this much of a mess, then we’re in big trouble.